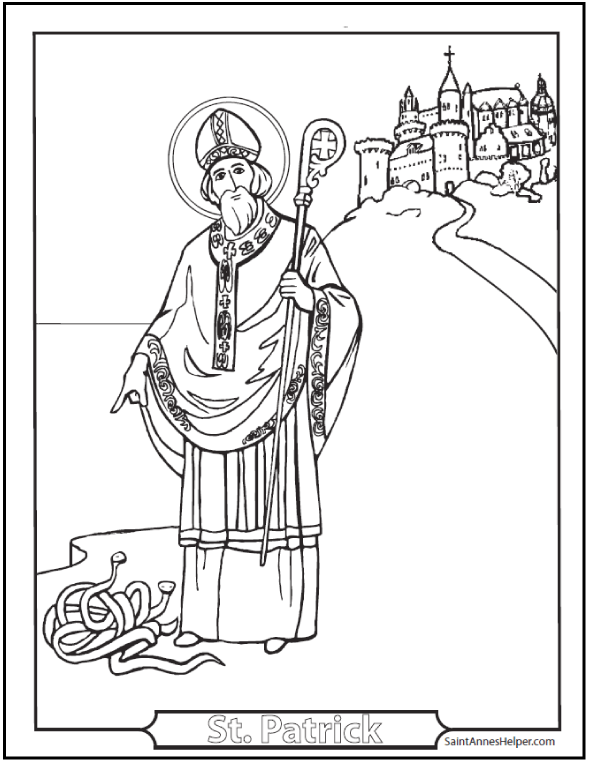 We have several Saint Patrick's day coloring pages and this one shows him banishing the snakes from Ireland. 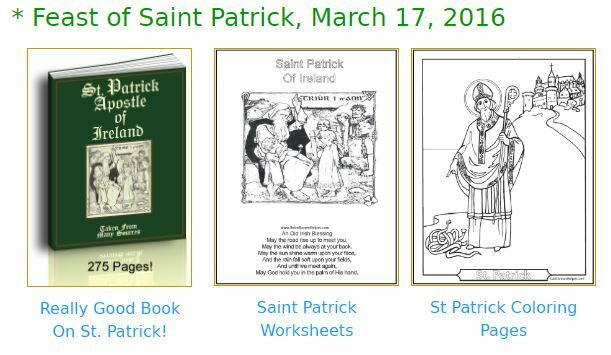 We also have other St. Patrick coloring pages on our main St. Patrick page. This PDF prints 8.5x11" single sided. Kids love this picture of Saint Patrick banishing the snakes from Ireland!